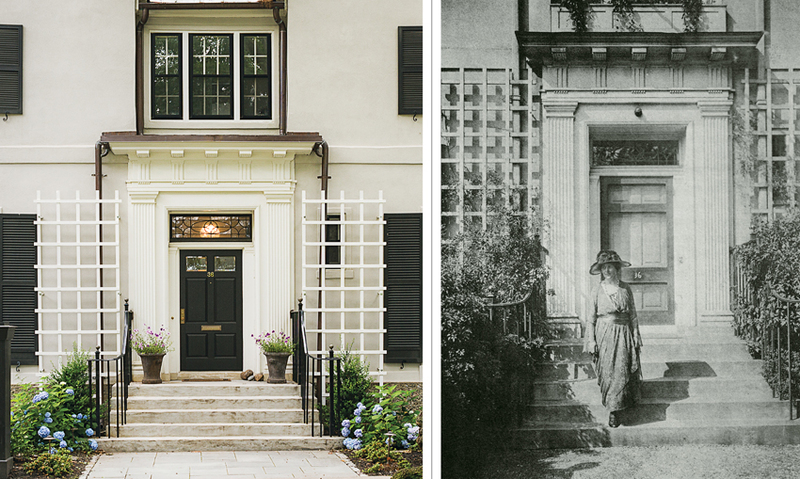 Coincidences abound when a designer begins renovating her stately Brookline manse. By Rachel Slade·	 9/10/2013, 6:51 a.m.
Kate Patterson first admired the grand turn-of-the-century Brookline estate more than a decade ago. At the time, she was living nearby and frequently walked her dog over to gaze at the home’s large backyard and the adjacent park, with its ancient weeping willow trees and tiny wildlife sanctuary. The neighboring abodes were equally beautiful Dutch Revivals, Arts and Crafts bungalows, and Spanish Revivals, all dating from the same period. Needless to say, the house wasn’t for sale—nor was Kate looking. But after a brief stint in Ohio, Kate, her husband, and their sons returned to Brookline and began to look for property facing the park she had grown to love. While chatting up a neighbor, Kate learned that the house she most admired was going on the market. “We’ve bought and sold plenty of homes over the years, and by talking to people, I’m often one step ahead of the real estate brokers,” she says. The Pattersons patiently waited for the price to drop and scooped it up in November 2010. Owner Kate Patterson painted the entry foyer white, refinished the floors, and added modern touches, including Flor carpet tiles and a console table from Hudson, in the South End. Kate enlisted the Chestnut Hill–based architecture firm Warner + Cunningham to navigate Brookline’s historical commission and help her reimagine the space. Their first major move was to swap the living room and kitchen so that the latter would be next to the driveway. Brookline-based designer Cassia Wyner, of CW Design, drew up plans for the custom cabinetry and master bath. 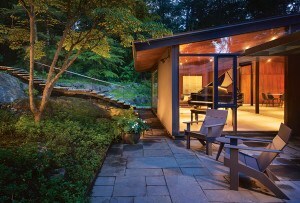 The full gut rehab, executed by Gary Moffie, of the Remodeling Company, took just six months. Meanwhile, Kate began researching the history of her fixer-upper and quickly discovered a string of coincidences. For starters, she’d just relocated her family from Cleveland, while the home’s original owners, the Howards, had left the Brookline house in 1920 because they were relocating to Cleveland. The weirdness continued when Kate, who was raised in Florida, read in Henry Howard’s autobiography that while sailing from New York to Cuba on his yacht, Alice, he’d spent some time on an obscure, uninhabited island in the Bahamas. Kate knew that island well and had even been there—it was owned by a former family member whose grandfather had been a rum runner. 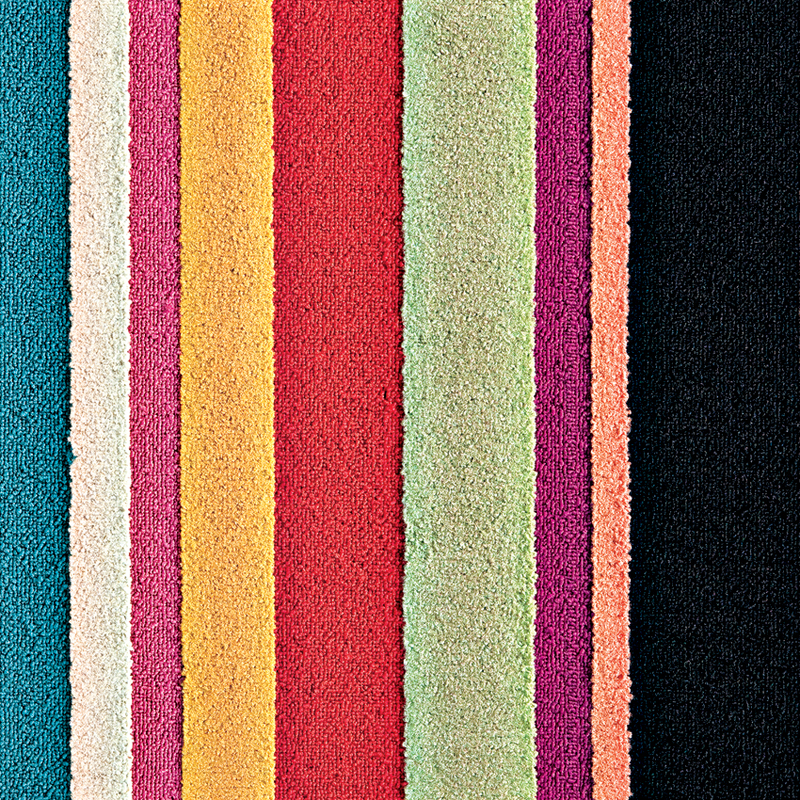 Her connection to the house emboldened Kate to decorate with confidence. 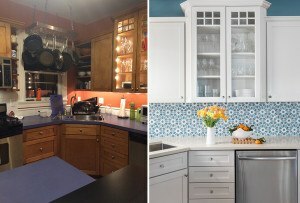 She painted its walls shades of blue and gray, and illuminated the rooms with modern fixtures bought online through Ylighting, Lightology, and Lucid Lighting. 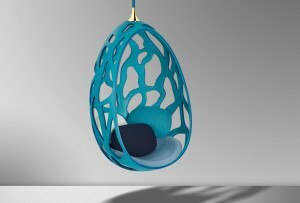 Many of the furnishings are reupholstered thrift-shop finds or family hand-me-downs. With a coat of Benjamin Moore “Sea Life,” custom drapes, and a traditional rug from Gregorian, the dining room was entertaining-ready. Thanks to her keen eye, the home now has a cheerful, welcoming feel, which complements family life. “At any given time, there are 10 teenagers here splashing in the pool or raiding the fridge,” she says. And then there are the two Olde English Bulldogges, Lola and Oscar, who love taking a dip in the new pool or sleeping on the kitchen floor while Kate works as an interior designer and, when required, as a community activist. The house as it looks today and as it did circa 1920, when the Howard family (its original owners) departed Brookline for Cleveland. 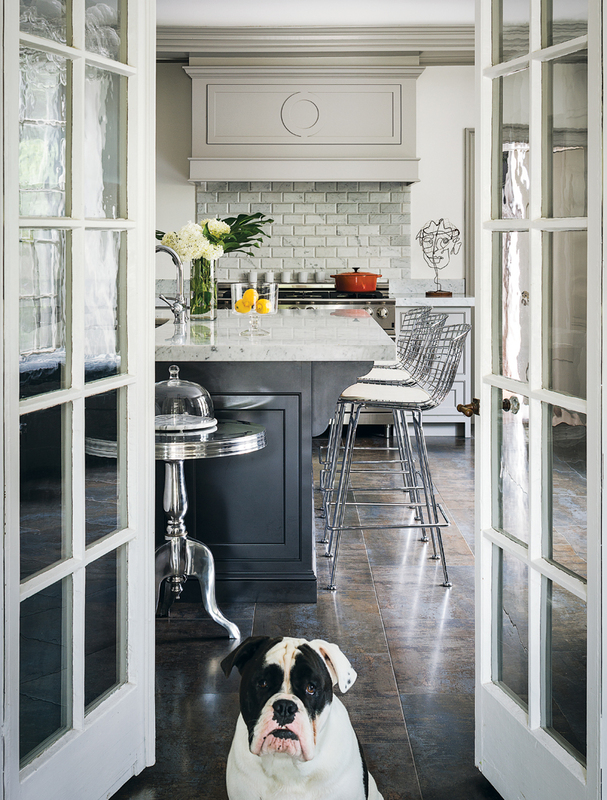 One of Kate’s dogs stands in the custom kitchen, designed by CW Design and built by Kramer’s Custom Kitchens & Woodworking. The stovetop backsplash is finished in deeply faceted Ann Sacks tiles. 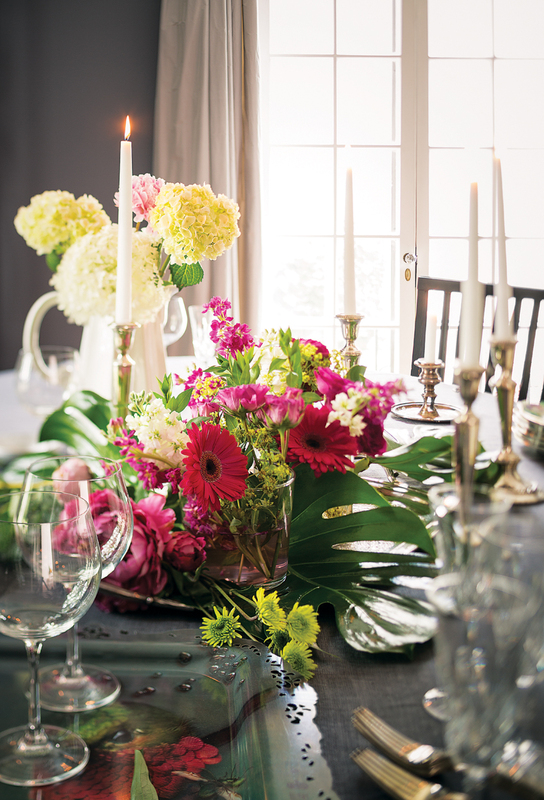 The dining table is set with family china and candlesticks, as well as a Libeco linen tablecloth and an iBride hummingbird-adorned serving tray. 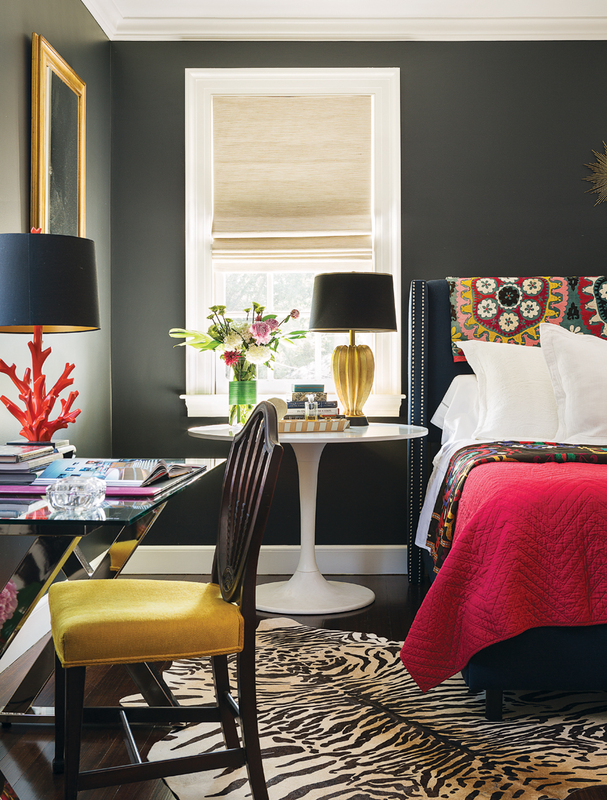 The dark and dreamy master bedroom features a bright coral lamp, a faux-tiger rug from One King’s Lane, and an X-base desk that Kate found at Pottery Barn. 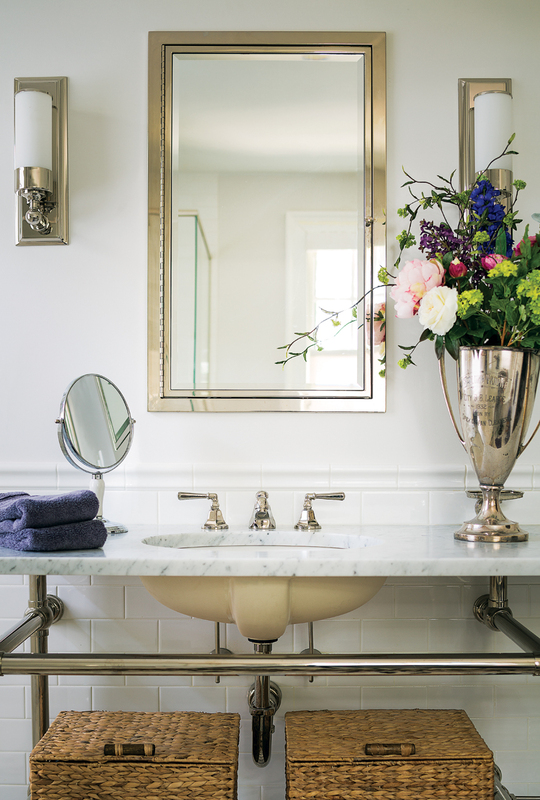 In the master bathroom, a custom sink base, fabricated in Rhode Island, holds a marble top. A Miami native, Kate considers having a backyard pool fairly normal. 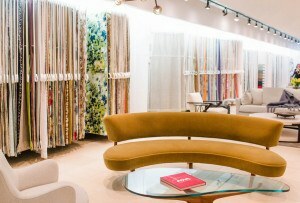 The furnishings are by RH. 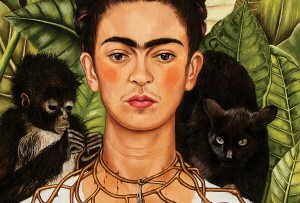 Where to find décor inspired by this story. “Parallel Reality,” $14 per tile, Flor. 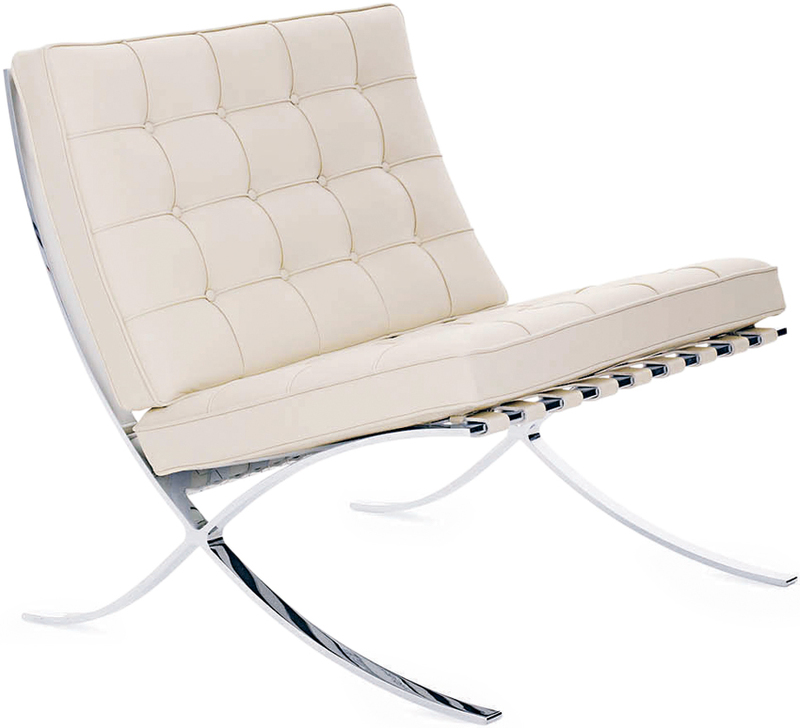 Ludwig Mies van der Rohe “Barcelona” chair, from $5,068, Design Within Reach. 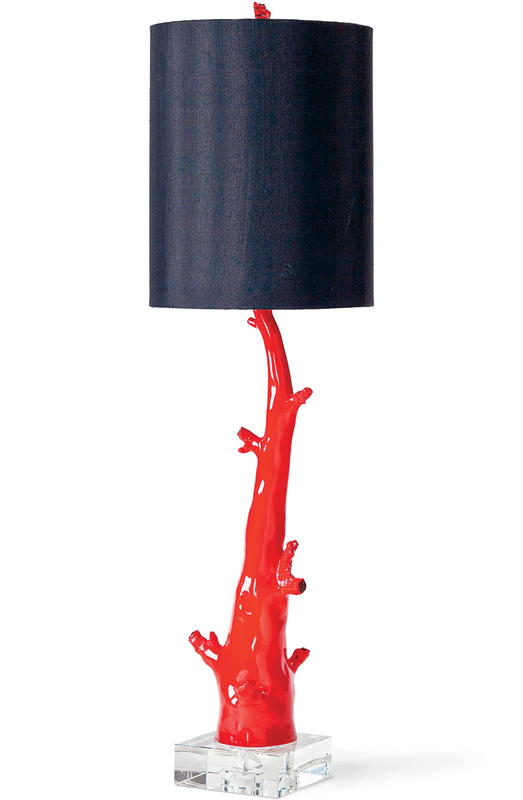 Regina Andrew red-coral-branch lamp, $327, shopcandelabra.com. 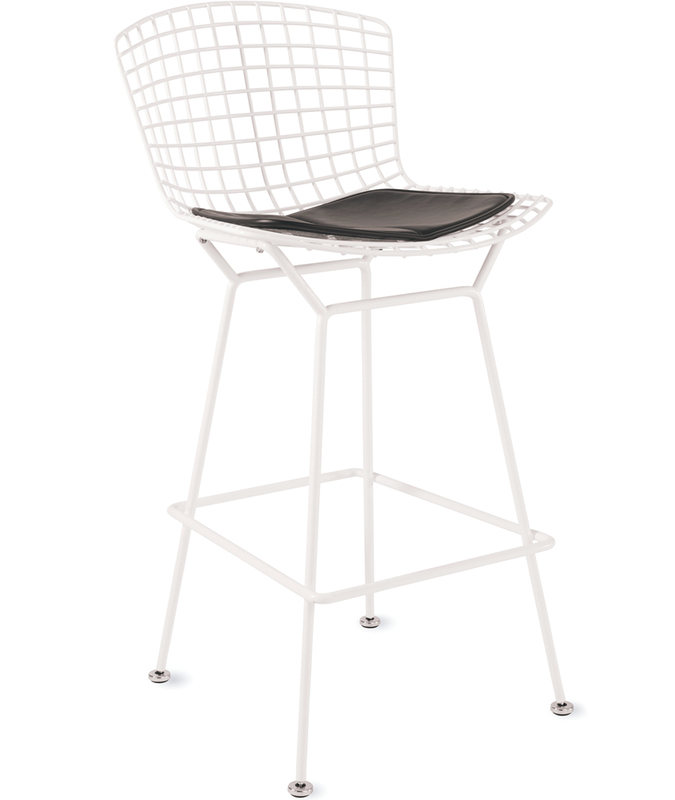 “Bertoia” barstool with seat pad, $1,096, Design Within Reach. 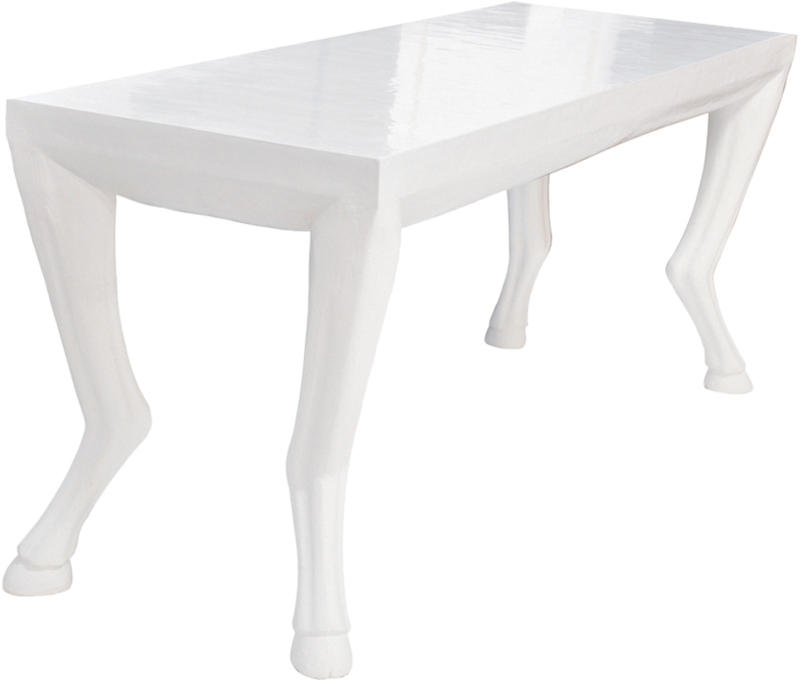 “Faline” library table, $3,375, Hudson.